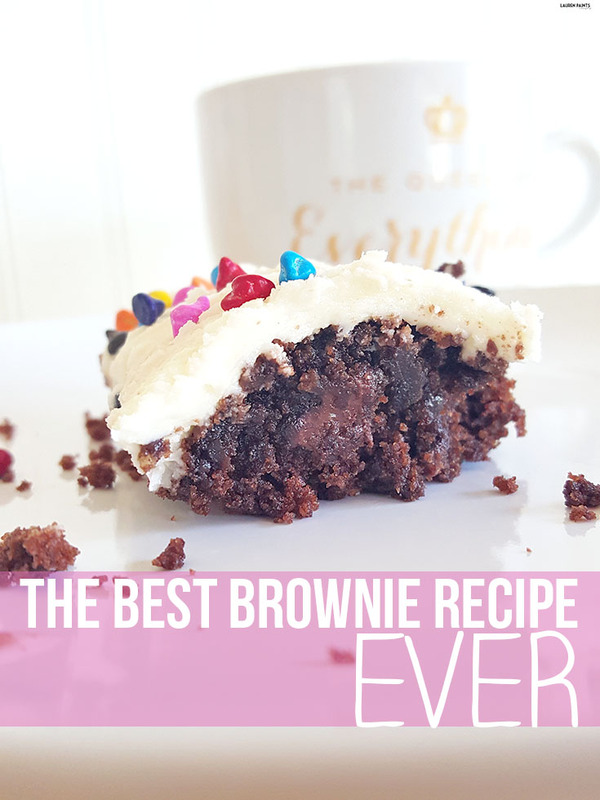 Make Everyday Awesome + The BEST [Gluten Free] Brownie Recipe EVER! Lately I've been trying to focus on one simple goal, each and every day; that goal is to make everyday awesome. Whether I'm taking the time to shop for the nursery, cleaning up the garage, or spending the day with my family, I've been trying to find the positive in every situation and really embracing what life has to offer each day. We all have the tools to make each day awesome, whether that means changing our mindset or just reminding ourselves to "be in the moment" and really enjoy what's happening--we're all capable of having awesome days everyday. I can't be the only one that thinks an awesome day starts out with something delicious, though. 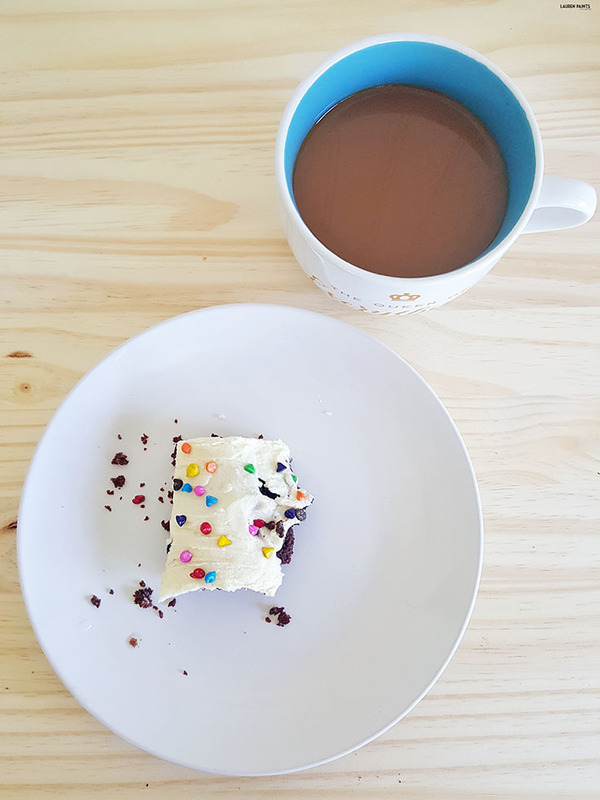 Some days I want donuts, some days I want fruit, and today... Today, I wanted a gluten free brownie with sprinkles and a delicious cup of coffee and I made that happen so easily, I can't help but share the recipe and my secret ingredient with you! These super moist and delicious brownies are the answer to your sweet tooth cravings and quiet possibly, the best brownies you've ever had. 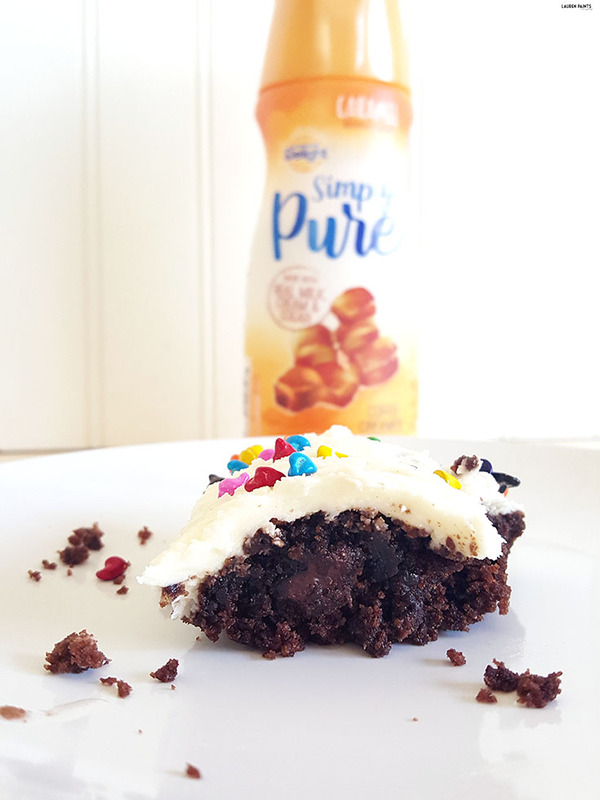 With a decadent caramel flavor from the International Delight Simply Pure Caramel Coffee Creamer and super rich, dark chocolate gooey melted chocolate chips, you'll be craving a brownie each and every morning... and how could you not have an awesome day after having a brownie for breakfast? I mean, really! 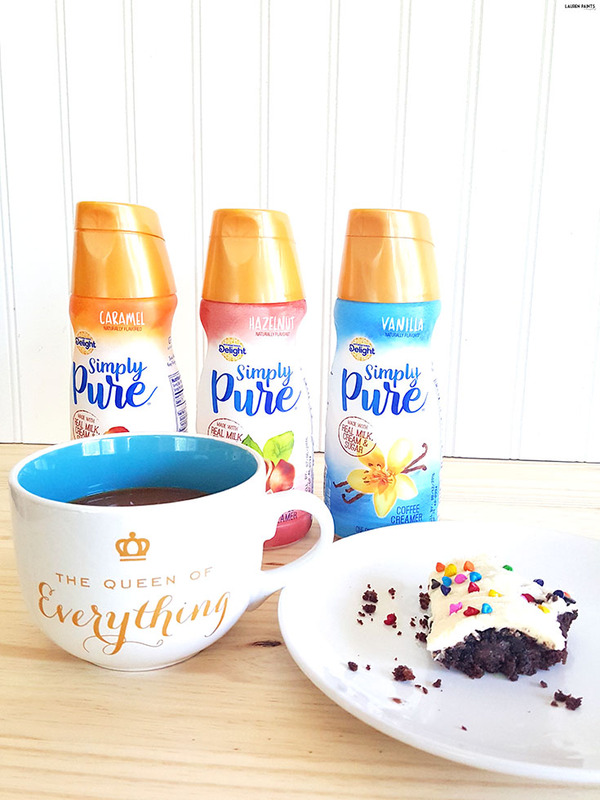 Plus, with International Delight Simply Pure, made with only five simple ingredients, you can enjoy a cup of coffee in a whole different way! 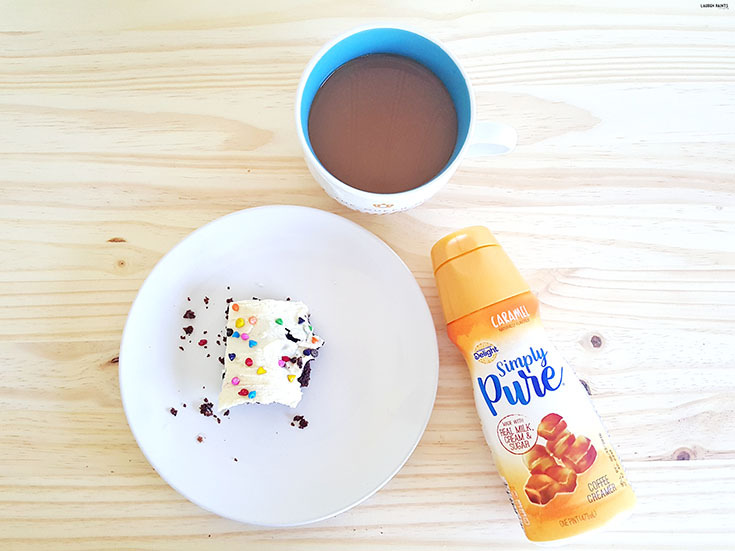 I like to add vanilla on really awesome days, sometimes I mix things up and add hazelnut, and I fairly regularly add caramel, because it's absolutely delicious! But let's talk about the super delicious, decadent gluten-free brownies I promised you. I know you're probably wondering, what do you need to make these brownies? 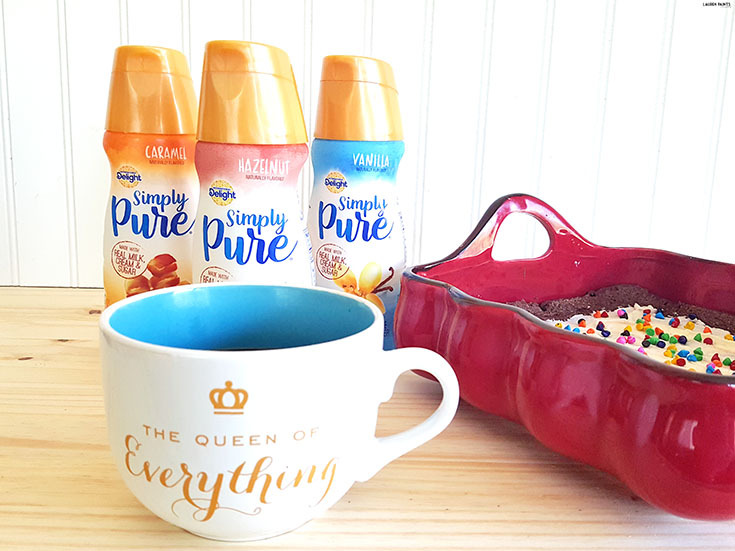 1/2 cup International Delight Simply Pure Coffee Creamer, I used the caramel flavor but any of the delicious options will be a great addition to your recipe! You'll begin this recipe by preheating the oven to 350 degrees Fahrenheit and lightly grease the pan. Now melt the 6 tablespoons of butter in the microwave, it usually takes around 15 seconds for it to turn into a liquid. Next you'll want to stir in the sugar and cocoa. Followed by adding in the egg and vanilla. Now add the baking powder and baking soda and mix thoroughly. The final three ingredients to add into the brownie batter are the most important. Take the time to slowly add in flour, stir. Then add in Simply Pure Caramel Coffee Creamer in small amounts and stir, alternating pouring each item into the mix until both are completely added. Once it's all combined, add in the dark chocolate chips and mix well. Now spread the batter into the prepared pan. Bake for around 25-30 minutes or until a toothpick (or a fork) comes out clean! 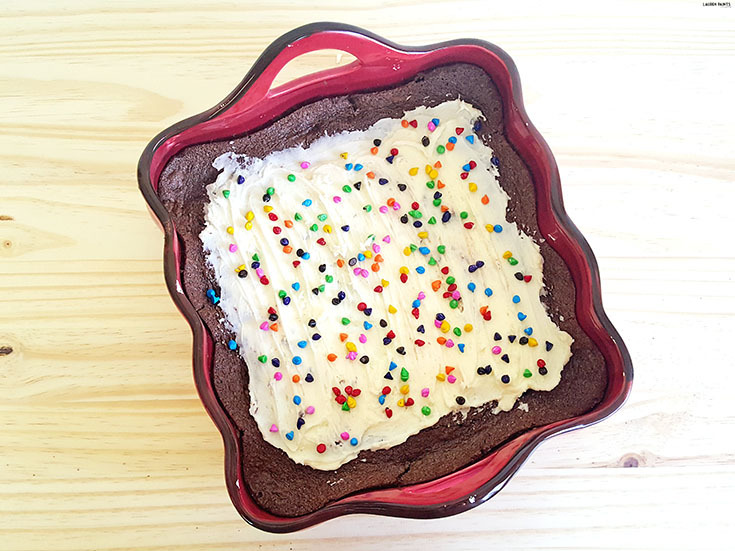 Once the brownies are cool to the touch, it's easy to whip together the frosting! You'll combine all of the frosting ingredients in a bowl, other than sprinkles. 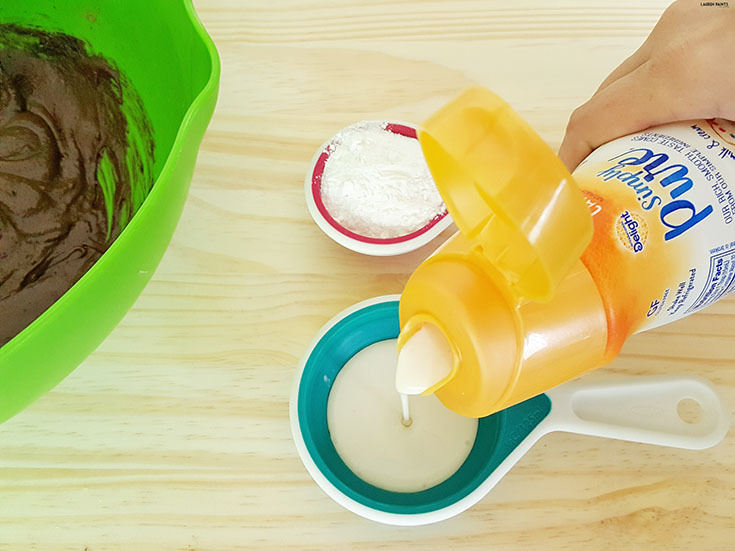 Mix the frosting well until it's the correct texture and spread over the top of the brownies. Add a handful of sprinkles to the top of the delicious dessert and ENJOY! 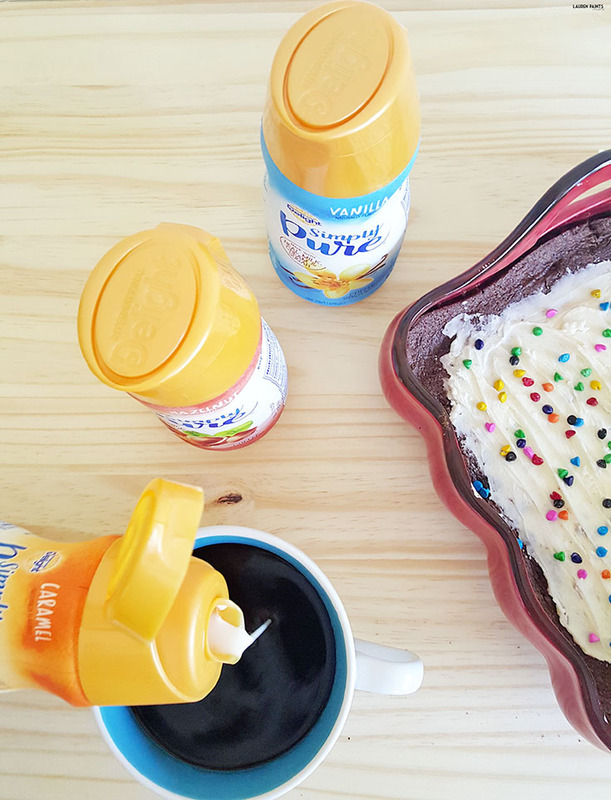 It's that easy to make these colorful, delicious brownies... And I really want to know, how can you not have an awesome day starting it out with something like brownies and a nice cup of coffee with delicious, clean label creamer? Tell me, how do you make sure everyday is awesome? Do you begin your day with some yoga or maybe you like to take your dog for a walk? I'd love to hear all about it in the comments below!